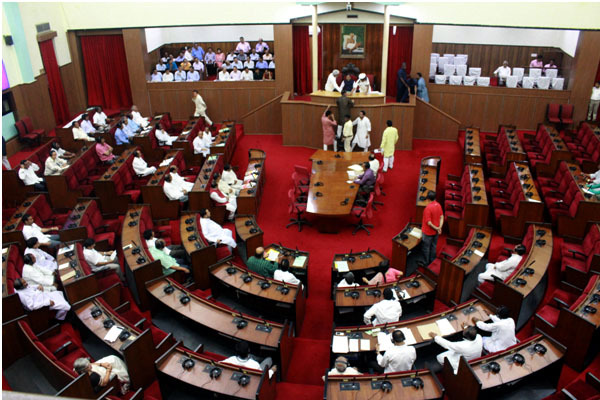 Bhubaneswar: Even as the Question Hour could not be held for the consecutive sixth day on Tuesday, normalcy was witnessed in the Odisha Assembly during the Zero Hour with the various issues raised by members. Earlier, the House had been adjourned from 10.31 am to 11.30 am as BJP members created ruckus in the Well of the House protesting against the alleged non-cooperation of the State Government in implementation of various Central projects. “The State Government has failed to acquire land for the proposed Rs 9,700 crore NTPC project at Talcher. But the Chief Minister is going to Delhi to attract private investors to set up projects in Odisha. The investment meet is nothing but a platform of publicity for the ruling party, ” alleged BJP members. Amid sloganeering, Speaker Pradeep Kumar Amat adjourned the House till 11.30 am. When the House reassembled, BJD member Mahashwar Sahoo raised the issue of Diploma Engineers’ announcement of going on leave from 18.09.2018 to 31.10.2018 demanding fulfilment of their various demands already approved by the State Cabinet six months back. He demanded that the Speaker direct the concerned Minister to make a statement regarding steps taken to resolve their issues. He said developmental projects would be halted if the engineers go on leave. Many other members like Tara Prasad Bahinipati, Pradeep Purohit, Jinan Pradeep Dash, K V Singh Deo and Samir Ranjan Dash supported Sahoo and urged the Speaker to direct the Government to fulfill their demands. Following Zero Hour, an Adjournment Motion on teacher and teaching issue was taken up.